Tough, Fast, affordable… Get all 3! 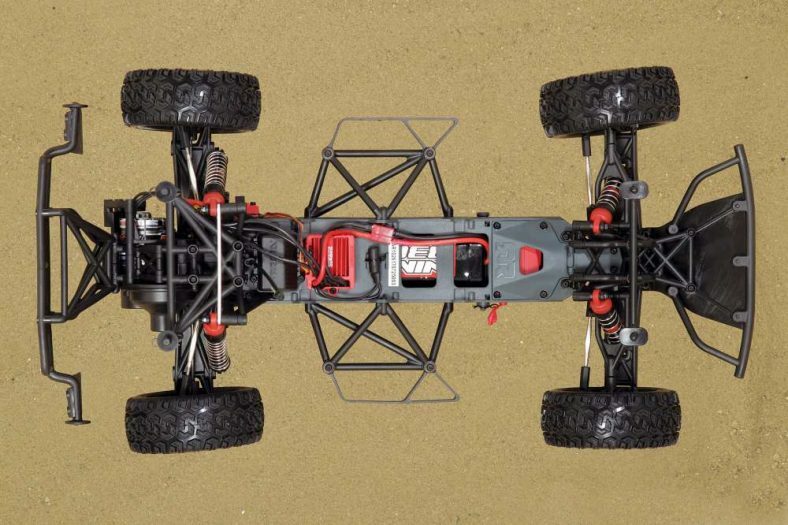 Arrma has a history of making some seriously tough vehicles capable of handling the worst of conditions with ease and they even include a variety of power options for beginners to experts. 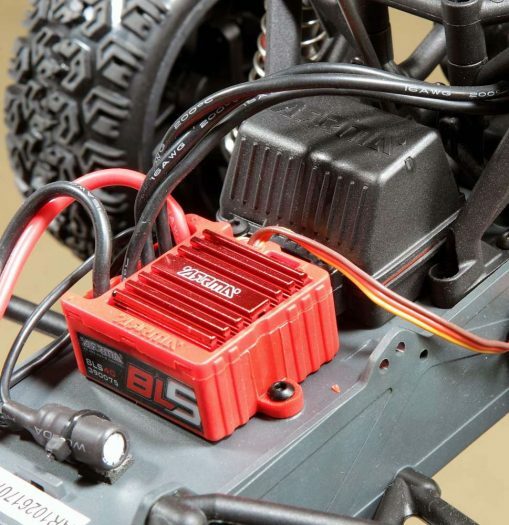 Up until recently, the gap between beginner Arrma vehicles and expert was left unfilled, you either chose the brushed option or the super high powered BLX line which could go almost three times as fast with the appropriate battery (which came with a hefty price jump as well). 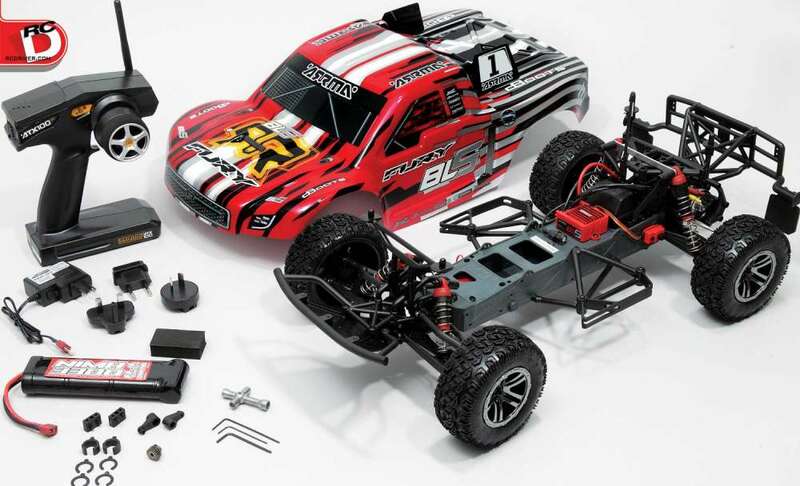 That left the average Joe without a great option unless they wanted to shell out some serious cash, so Arrma released the BLS line, a series of vehicles aimed at filling this void. They are still equipped with some serious gear (brushless setups, 2.4GHz radio, waterproof electronics), but are priced much lower than the BLX line and offer a great performance-to-dollar ratio. 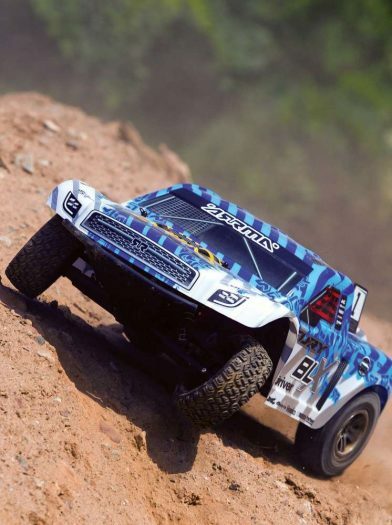 If you are in the market for a tough short course truck check out the Arrma Fury, it’s unique and is sure to impress. Aroma’s mid range line of vehicles offer plenty of value in a proven chassis setup. The Fury BLS is no exception, it offers the perfect foundation with the vertical plate chassis and excellent electronics to make most drivers happy. The electronics held up perfectly throughout my testing and I drove worry free with all of the waterproof components. The Fury BLS is totally worth the look for anyone who doesn’t have a short course vehicle or is interested in the rugged chassis design. • Duratrax Onyx LiPo 2S 7.4V 5000mAh 25C Hard Case , DTXC1864, $39.99, I found driving the Fury with a LiPo pack well worth the upgrade price, it limited the cogging feeling I would get sometimes with the stock NiMH pack. 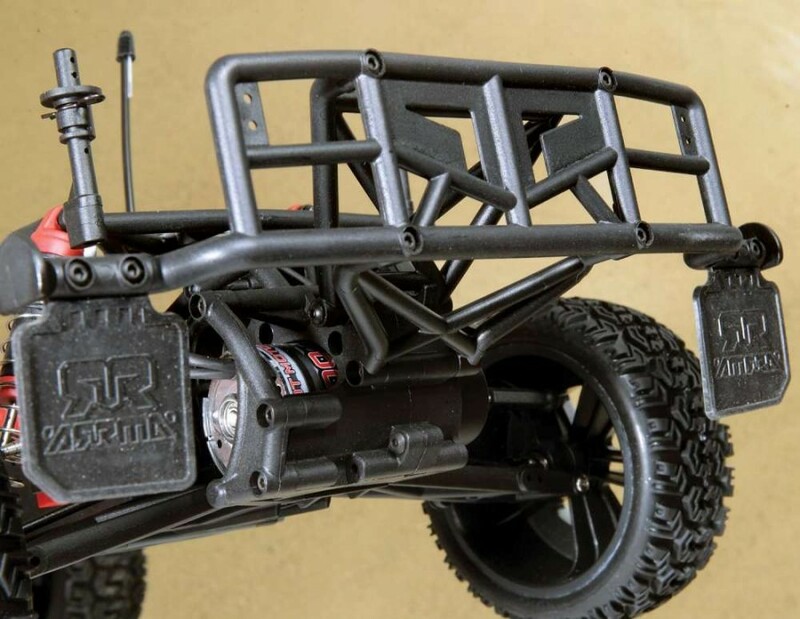 • ARRMA TVP Plate LWB 2014 Natural, AR320200, $39.99, While I had no issues with the stock plastic TVPs, these aluminum units will make the Fury virtually unbreakable and look amazing as well. • ARRMA Lower Plate Aluminum, ARAC6000, $9.99, I could tell the front bottom chassis plate takes the brunt of the force on my botched landings so this aluminum unit will future proof the Fury from damage in this area. The foundation of the Fury BLS is a Monocoque chassis design which offers insane support and can keep all of the electronics in a narrow line through the center of the vehicle. Since the electronics are along this central line, body roll will not be as prominent as if it was dispersed through a flat chassis. The battery tray is mounted in line with the chassis and the door swings open on the bottom of the vehicle so the battery can be replaced without removing the body shell which is a nice touch. The front, rear, and side bumpers offer plenty of protection to the chassis with excess plastic molded in to absorb any undesirable impact energy. Since most of the electronics in the Fury BLS are waterproof, the radio tray follows the same pattern with a sealed radio box to protect the 2.4GHz receiver. 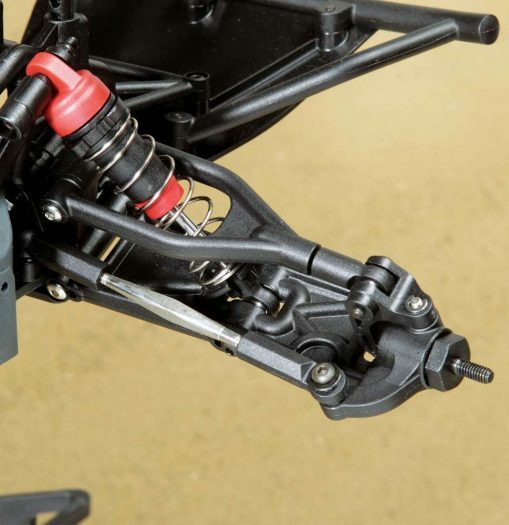 The first thing that jumped out with me on this Arrma truck is that almost all of the suspension settings can be changed with turnbuckles and links on the front upper control arm. Many mid-level short course RTR’s do not have this ability and require sometimes costly upgrades to achieve the same effect. While it doesn’t sound like much, the ability to quickly alter your camber and toe angles means that the Fury can be dialed in and raced in lower levels with a simple tire swap. Long travel oil-filled shocks are standard and require pre-load spacers to make ride height changes. There is plenty of travel especially in the rear shocks for extreme bashing conditions. The shock towers do not offer any different mounting points, but this shouldn’t be an issue for most drivers and there are a few mounting points on the lower control arms. 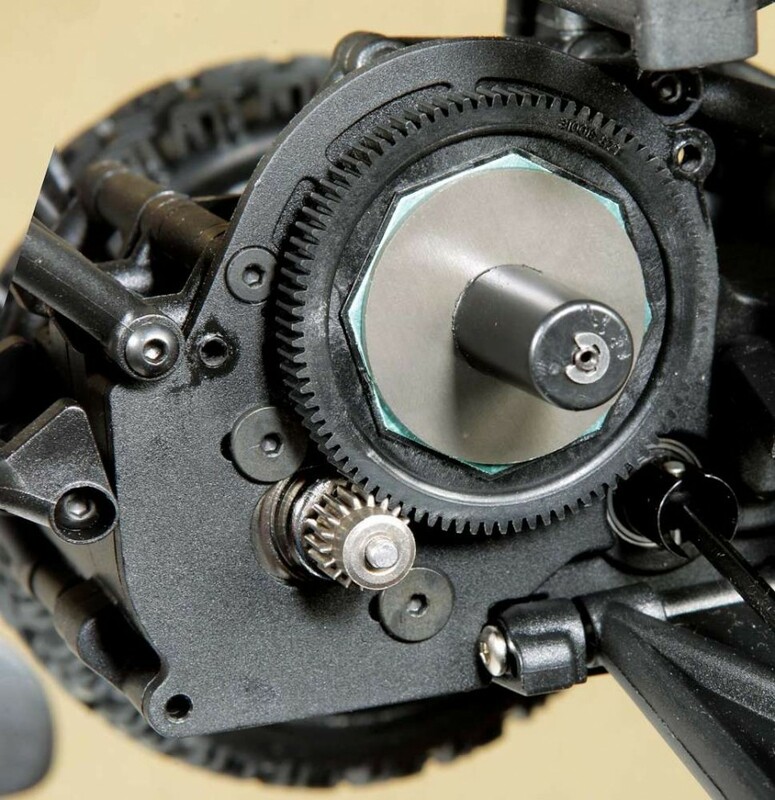 The Fury BLS features a very capable dual bellcrank steering design with a servo saver to protect the waterproof ADS-5 Arrma steering servo. This servo is a decent balance of torque and speed, pumping out 70oz of torque with a transit time of 0.12 seconds. I found the Fury has an excellent steering angle at the extremes to really decrease the turning radius for tight hairpin turns. The toe angle is fully adjustable with the included turnbuckles which are great for when the user is ready to start tuning the vehicle to their liking. 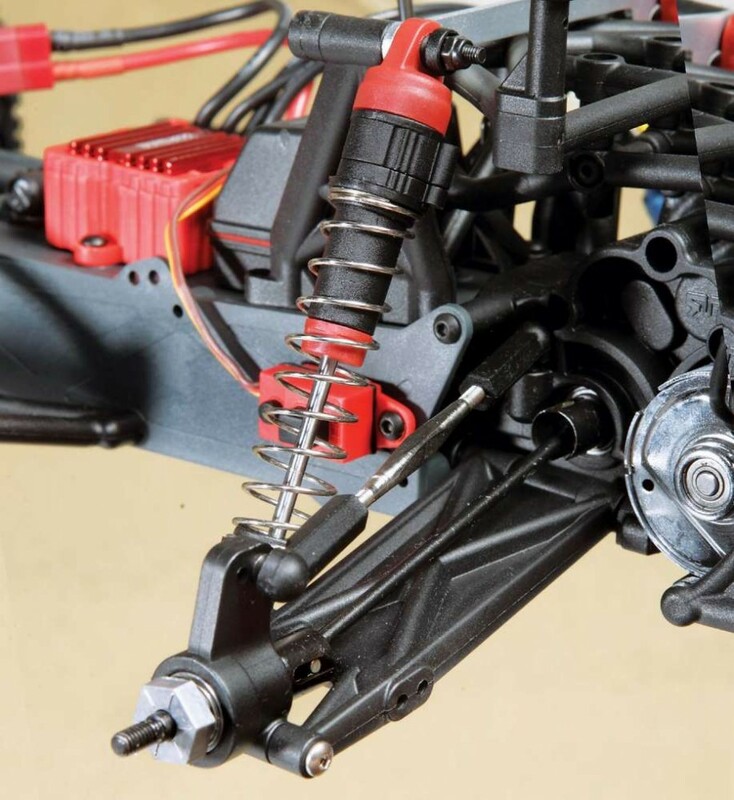 Another great design feature is that the steering servo and most related components are completely protected because they are located within the upper and lower chassis plates. While this makes accessing the servo a little more involved, the extra protection should ensure that this is hardly necessary. 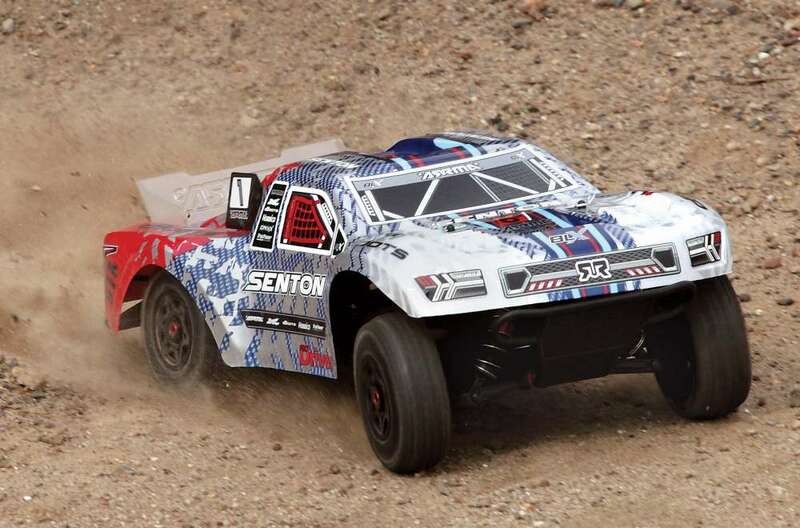 At the heart of this short course truck is an Arrma 4000Kv 540-sized brushless sensorless motor. Mated to the motor is a 35 amp brushless ESC capable of handling NiMH packs up to 8.4V and two-cell LiPo batteries with an integrated aluminum heatsink. Programming the ESC is fairly straightforward and uses LED indicators to accomplish any changes the user may wish to make. A 7 cell 3300 8.4V NiMH battery is included with this RTR and an appropriate wall charger, although be prepared to wait up to 5 hours for a charge on a fully depleted pack. The motor is mounted to a standard three-gear setup, with metal gears in the rear differential powering the steel dogbones. The dogbones mate to a short course 12mm plastic hex adapter and since this is generally the short course standard, many other wheels will directly bolt on to the Arrma. The wheels look great with a black chrome finish and the Arrma dBoots tires have a cool scale look to them. 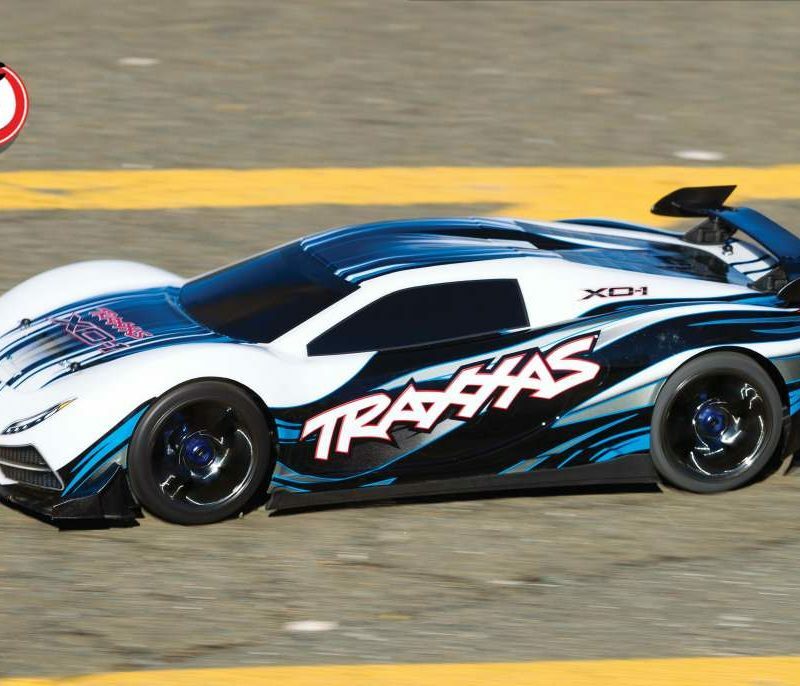 The tires are a bit on the harder side, Arrma opted for longevity and tire life over super soft tires better suited for racing. This short course truck comes with one of the best stock short course bodies I have seen in a long time, it looks pretty aggressive and the graphics really set the whole thing off. 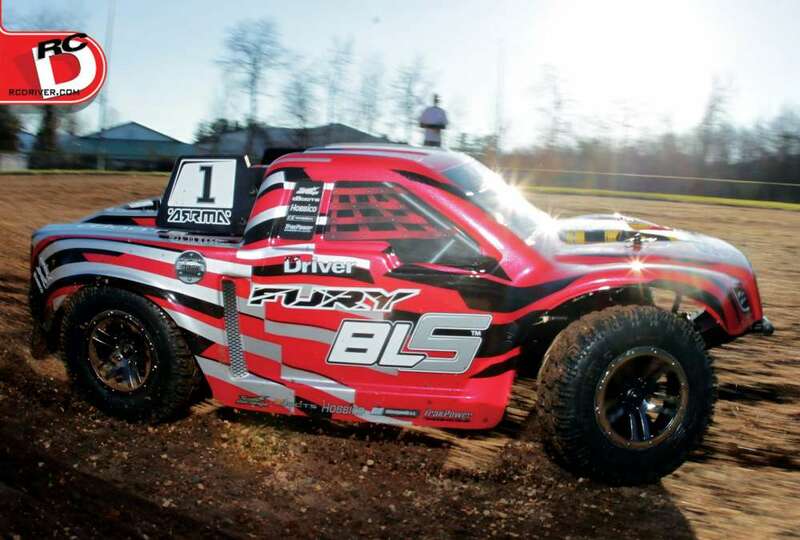 Under the body is the radio gear, the Fury BLS is equipped with your standard RTR 2.4GHz transmitter and receiver setup with the transmitter having basic functions such as throttle and steering trims and steering rates. Also under the shell is a great bumper setup, with extra plastic supports to absorb tons of impacts with the mudflaps bolted on directly to the rear bumper. Although the Fury can be taken to the race track and hold it’s own against other similar RTR vehicles, I felt the rugged chassis was begging for a beating and taunting me to try and break the truck, so that is exactly what I set out to do. When I first arrived at my preferred bashing location, I was bummed out to see that it had begun to lightly rain, but then I remembered all of the waterproof electronics in the Fury BLS should be able to handle this with no problem and then got excited to really test them out. The only downside to running in wetter conditions than normal is I found the rear of the truck wanted to step out quite often, resulting in careful monitoring of the throttle to remain in control. I first started with the included 8.4V NiMH battery to see how much power it could provide the 4000Kv brushless motor and was quite impressed with the low end torque and impressive top end. It felt as if I was using a LiPo pack with more weight attached. I did get some slight cogging of the motor as the battery began to lose its charge, so I would recommend a LiPo pack if you plan on racing. Back to the power, the torque was awesome and constantly got me in trouble with spinouts, especially with my slick surface. The tires are pretty hard, but when I did get them to grip and slowly ramped up the throttle I was more than happy with the top speed of the truck when running off-road. I doubt I could handle any more top end speed without excessive spinouts. Braking is what you would expect from a 2WD vehicle, enough to lock up the tires and usually resulted in a 360. Since the Arrma brushless ESC is capable of handling two-cell LiPos I quickly slapped a 3700 mAh two-cell in (thanks to the easy access battery tray) to see how the top speed and acceleration would be affected. I noticed that the power with the LiPo setup was very similar to the 8.4V NiMH pack, but I did appreciate the lower amount of cogging and lighter weight, not to mention longer runtimes as well. Once I got the handle of the throttle I was able to start drifting the corners and making tight hairpin turns one after another. The turning radius for this truck is great and it did not suffer from much of the understeer that plagues these rear wheel drive trucks sometimes (although I have to admit more than half of my turns were spent drifting). The steering servo is nice and snappy and had no trouble turning the wheels under various off-road conditions. Once I started testing the durability of the truck I had a few nasty hits that surely would have destroyed the steering servo, but the servo saver was properly adjusted form the factory and saved me from a trip to the hobby shop on numerous occasions. 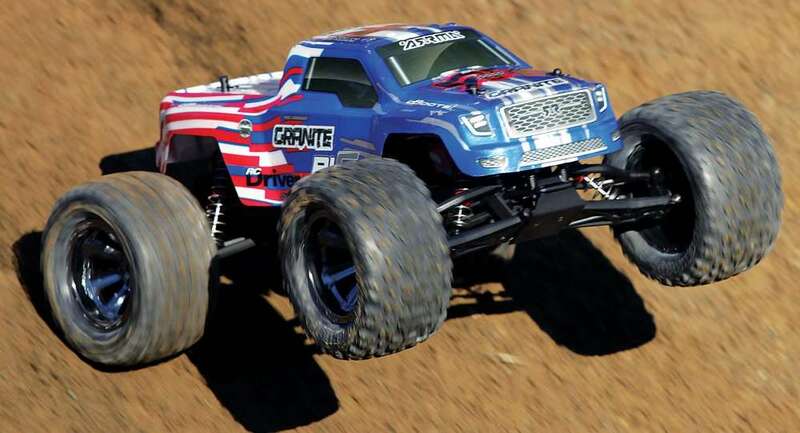 The Fury does not feel as planted as the all-out racing rigs, but this is okay as it is primarily a basher and has great ground clearance to clear most obstacles. 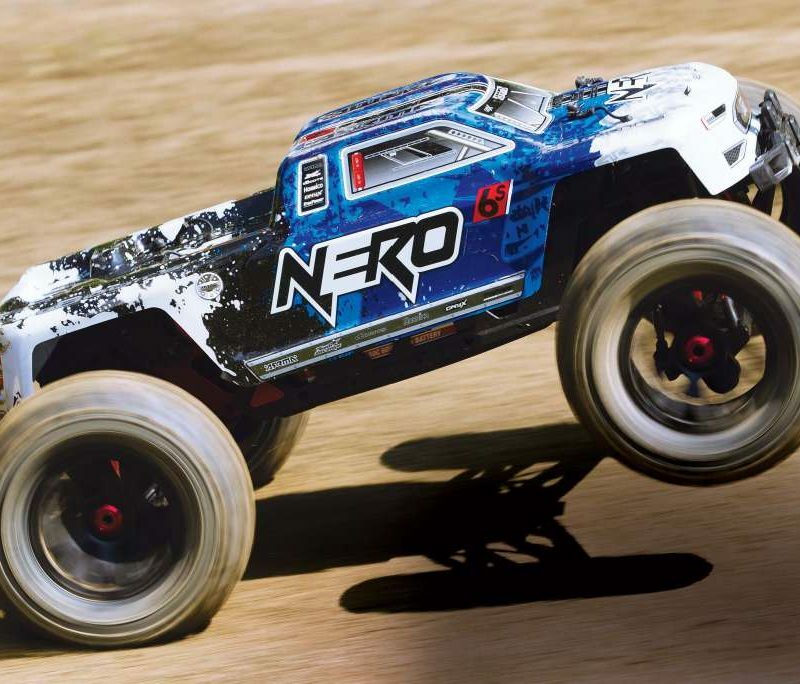 On to the most important part of the test, the bashing of this Arrma truck. I lined up a bunch of jumps to get a feel of how the Fury would handle and launched off them full throttle each time without worry of any consequences. I landed every possible way imaginable; sideways, upside down, on each wheel separately and the Fury hardly skipped a beat. I expected after about five of my jumps to find a broken part and the truck never missed a beat other than when I snapped the front body posts on a brutal upsidedown landing. I wouldn’t blame the truck too much for this one, trust me when I say it was nasty and I got out lucky to have only the body posts damaged. There were no broken control arms, stripped servos, lost or bent dogbones to speak of. I do want to comment on the jumping ability quickly while on this subject and I will say that the Fury jumps much better than other short course RTRs I have driven without tweaking any suspension settings. The nose will fly high on launching off of ramps and hills, if you remember to let off early you will be treated with perfect level flight. I also was curious and found out that the Arrma truck does an excellent job if pitching up when throttle is applied during a jump, the brushless power has no problem here. Bringing the nose down is a tougher feat as you also get an air pocket under the large body which prevent this direction of movement. The Arrma Fury BLS is equipped with a 4000kv sensorless brushless motor which puts power to a dual pad slipper clutch that is preset from the factory so you don’t have to worry about any transmission adjustments. Check out the rear bumper which is capable of absorbing extreme shock and has a nifty method of mounting the rear mudflaps. The front skid style front bumper will help glide the truck over obstacles and protect the front end from impacts. The Fury has many sus- pension tuning options including adjustable cam- ber and toe angles with oil filled shocks on all 4 corners. 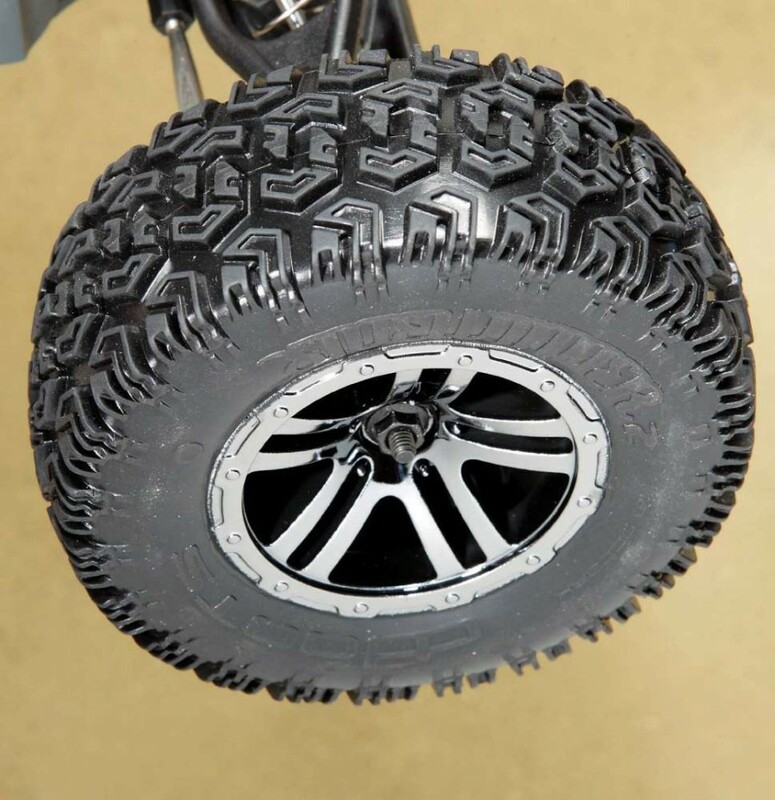 Check out the Arrma dBoots treads on the slick black chromed rims which have standard 12mm hexes for more aftermarket wheel options down the road. 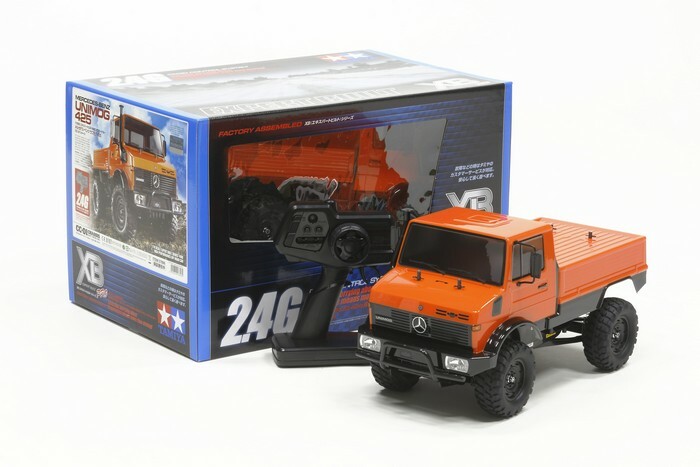 This truck utilizes a Monocoque chassis design which is geared for durability with the structure providing strength. 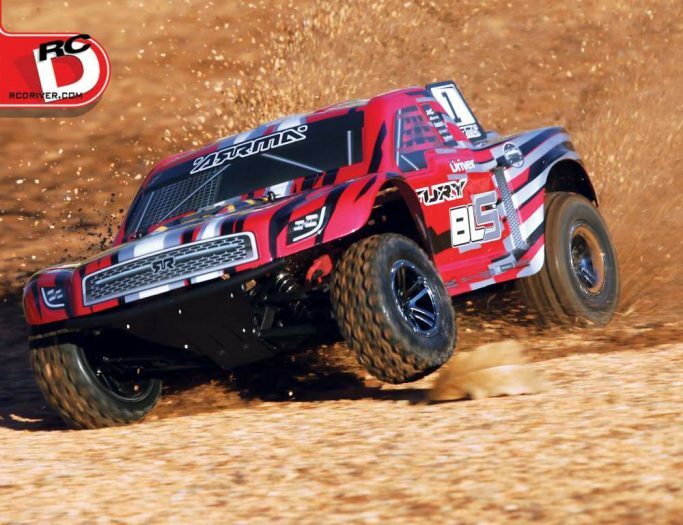 As you can probably tell by the tone of the article, the Arrma Fury BLS is an awesome choice for a midrange short course RTR. It comes with great gear that will take a beginner from his first steps onward or even challenge the intermediate driver with some low key racing thanks to the tunable suspension. 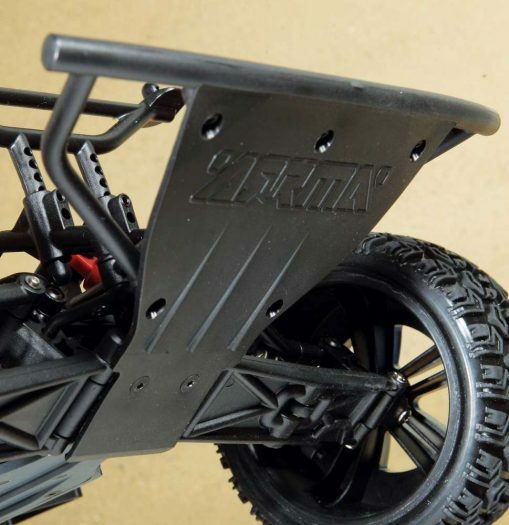 Even better, it makes the perfect modding platform with Arrma selling a wide variety of hopups and most parts from the upper BLX line should bolt right on. Not that the BLS needs anything, I found it super durable (other than the body posts snapping which was majorly my fault) and just a real pleasure to drive with the cool factor of a twin vertical plate chassis. The Fury BLS is another solid choice that anyone should take a look at, it’s not like other short course trucks and has no major flaws that I could find and the price is great.